4 million active online stores. This is the number of online stores on the world’s largest platforms, with which LeadGrid already has integration. We are talking about Shopify, Magento, WooCommerce, Big Commerce, Prestashop, Opencart, Squarespace, Vtex, among others. If you look at the sales of all online stores around the world, the numbers become more and more impressive. Since its inception, LeadGrid has been developed to be global, as we have always followed these numbers. And 2019 is the year we will begin this expansion. For this, we will make some more improvements in the tool and we will have a team focused on the overseas. Starting in January 2019, Patricia Quintiliano becomes the new partner and CEO of LeadGrid. 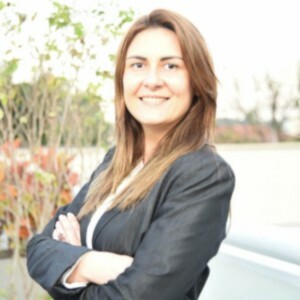 With experience in the traditional retail of large corporations such as Group Casino/Grupo Pao de Acucar, Wal Mart and Danone, and online shopping startups, Patricia will have as her main mission the conquest of new markets outside of Brazil. This week we did a big change in how LeadGrid works. Until a few days ago, to join the LeadGrid coupon exchange network was necessary for a monthly process of one of our plans. In addition to the monthly plan, the retailer could optionally make a weekly investment to acquire additional connections beyond those earned by the exchange network, and to access this functionality, one had to be a subscriber. We first split LeadGrid into two products: the Coupon Exchange Network, which is our primary service, and a Lead Acquisition Campaign that is nothing more than the original feature of purchasing additional leads for your online store. As of now, the LeadGrid Coupon Exchange Network is 100% free. No more monthly fee. But you still need to install the LeadGrid offer widget on your store’s ‘Thank You’ page. And finally, the Leads Acquisition Campaign that previously required a subscription, is now available to any online retailer without having to install the widget on the store. This way we believe we are making it a possibility to create new customers for online stores for many more retailers.